Special counsel Robert Mueller has submitted his report to the Justice Department, and lawmakers want its contents to be made public. Within minutes of the news Friday that special counsel Robert Mueller had delivered his report into possible Russian election meddling to U.S. Attorney General William Barr, New England's predominantly Democratic legislative delegation was already imploring the justice department to release the full report as soon as possible. "Attorney General Barr — release the Mueller report to the American public. Now," U.S. Sen. Elizabeth Warren of Massachusetts said. Warren put a petition on her website "to make the Mueller report public — immediately." 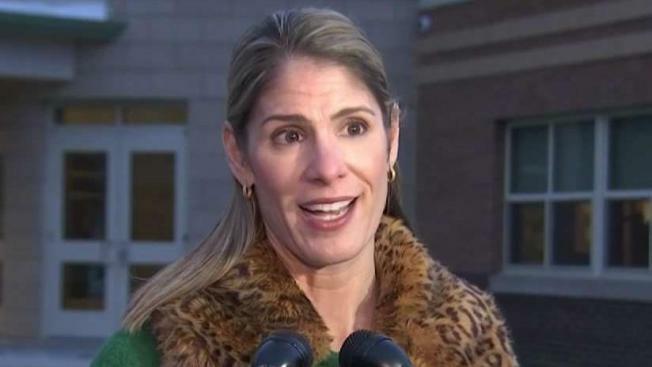 "Now that Robert Mueller's report has been submitted, it must be made public to the American people and to Congress as soon as possible," said U.S. Rep. Lori Trahan of Massachusetts. "We deserve the whole truth. The integrity of our democratic system is at stake." Mueller's investigation into the campaign and presidency of Donald Trump began with his appointment in May of 2017. Since then, Trump has consistently proclaimed there was "no collusion" and decried the investigation as a "witch hunt." Barr is expected to review the report and write his own account of Mueller's findings to provide Congress and the general public. The attorney general has said he wanted to make as much of the report public as possible. "Attorney General Barr should make the full report public and provide its underlying documentation and findings to Congress," said U.S. Sen. Edward Markey of Massachusetts. "A summary of the report or Mr. Barr simply briefing Congress on its contents would be insufficient. We cannot have the Attorney General or the White House interfere in decisions about the findings of the investigation and what evidence is made public." Markey added that "the American people have a right to the truth about what happened in the 2016 presidential election." "A report that examines the depths of interference in our democracy shouldn't be hidden from the public," said U.S. Rep. Joe Kennedy III of Massachusetts. Despite constant political pressure, the Special Counsel & his team have a grateful country standing behind them." "Make. The. Whole. Thing. Public," U.S. Rep. Jim McGovern of Massachusetts said. "Special Counsel Mueller has completed his thorough work. The American people have a right to know what’s in his report. If the Attorney General refuses to make it public, Congress should demand its immediate release and subpoena it if he refuses," U.S. Rep. Peter Welch of Vermont said. "Give it all to Congress. Make it public. Err on the side of transparency," said U.S. Sen. Chris Murphy of Connecticut. "The future of American democracy depends on it." U.S. Rep. Seth Moulton of Massachusetts also stressed the importance of making sure the entire report is released. "Robert Mueller has done his job, now it’s time for Congress to do ours," he said. "That means investigating this report ourselves, and making sure that every American gets to read every word." U.S. Sen. Susan Collins, a Republican from Maine, also said Barr should share Mueller's findings with the public, but she stopped short of demanding the report to be released in its entirety. "I have always had confidence in Special Counsel Mueller and welcome the completion of his report," Collins tweeted. "Attorney General Barr should release the report to the public as soon as possible, while accommodating national security concerns." Collins' colleague, Independent U.S. Sen. Angus King of Maine, who caucuses with the Democrats, also said the report should be released without pushing for it to be completely free of omissions. "I believe that Attorney General Barr must release as much of the Mueller report as possible in order to restore America's full faith and confidence in our system of government," King wrote. "The Intelligence Community is clear that foreign powers sought to interfere in the 2016 election; protecting our democratic process and preventing future incursions in our electoral process need to be our top priority."